For many lower income Winnipeggers, the barriers to employment in the formal labour market can often seem insurmountable. Fortunately, Manitoba Green Retrofit has identified and helped eliminate these barriers through an innovative business model. “We find the people who want the work, who want to develop skills and improve their circumstances, and then we go and find the work together,” says General Manager, Lucas Stewart. With an entrepreneurial spirit and a socially responsible mandate to reduce poverty, improve employment opportunities, and enhance environmental sustainability, Manitoba Green Retrofit is a triple-threat leader in CED principles. 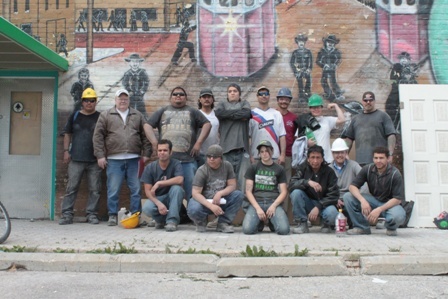 This non-profit social enterprise takes on small construction projects, environmental retrofits, rental apartment turnovers, and basic renovations in some of Winnipeg’s lower income housing stock. The construction work, however, is seen as a means towards a greater end. MGR seeks to improve low-income communities by providing training, creating opportunities, and building sustainable community development. Ryan is a recent B.A. graduate from the University of Winnipeg's Political Science program. His prior work experiences have allowed him to engage with urban issues such as heritage building preservation and youth employment. 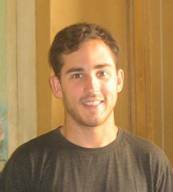 Ryan has recently had the opportunity to backpack on several continents and has noted the increasingly important role that sustainable cities play in our globalized world. Fiorina holds a Bachelors Degree in International Development Studies from the University of Winnipeg, and is currently pursing an after degree in Social Work. Fiorina has nine years of community development experience in a variety of capacities. As a leader and a servant, she’s worked for various inner city community organizations and has served as a board member with several neighborhood associations and groups. CCPA Manitoba released 20/20: A Clear Vision for Winnipeg last month, giving Winnipeggers plenty to think about before going to the polls on October 27. Chef Ben Kramer & Diversity Foods - Diversity has shown an amazing amount of support towards local farmers and producers. Their focus on healthy, well-balanced meals at affordable pricing for students is proof positive that healthy, local food does not have to come at a high price. In 2007, Kikinaw Housing Inc. purchased and demolished two derelict homes on Furby Street with a loan provided by the Jubilee Fund. The land sat vacant until recently, when an opportunity arose to convert the sites into two new high efficiency four-plex homes. The suites will be targeted to low-income households. This is the third major development for Kikinaw Housing Inc. in West Broadway, and the first home is slated to become available for occupancy in mid-October. The Association of Cooperative Educators has announced that they will be hosting their annual Cooperative Institute Conference in Winnipeg in the Summer of 2011. ACE brings together educators, researchers, cooperative members, and cooperative developers from across cooperative sectors and national borders. The resulting cross-pollination of ideas enhances cooperative development, strengthens cooperatives, promotes professionalism and improves public understanding of cooperatives. To learn more about ACE, visit their website. To learn more about the Canada Learning Bond, and to find out whether a child in your family qualifies to receive $500 towards their education, attend this workshop on Tuesday, October 26 at 1:00pm. This free SEED Winnipeg event is being held at 80 Salter Street. Call 927-9947 to register. On November 3-5, EDAM will travel to Roblin, Manitoba for its 2010 Fall Forum. The theme this year is “The best Ideas Come from Within.” The event will shed light on innovative local development ideas, as well as provide an excellent networking opportunity economic development organizations from the across the country. download the Fall Forum program and registration information. The Association of Manitoba Municipalities recently released its report “Ballot Box Barriers.” The report identifies barriers to increasing women’s participation in municipal government as well as solutions to promote women’s involvement in municipal politics. The AMM invites you to visit the Ballot Box Barriers Facebook page and provide some feedback. “Like” the page, and the AMM will keep you updated on this important issue. The province is committing $11 million for the renovation of older Manitoba Housing units in rural and northern Manitoba, and to work with northern businesses and employ northern residents. Inspections of the northern housing units have been conducted and planning for the renovation of up to 538 units in as many as 28 northern communities is already underway. Approved projects will start this year and are expected to be completed by the end of 2012. On October 18th, the Manitoba government announced that it is providing $742,100 for a two-year campaign to raise the profile of Manitoba products for consumers, Agriculture, Food and Rural Initiatives. The Buy Manitoba Program is part of a five-year program to develop a branding and public-awareness campaign that will help consumers identify and buy locally. This program is industry-led and guided by an expert steering committee that includes members of all steps of the food value chain including retail and food-service partners. Is your nonprofit's HR Health in danger of flatlining? Take the HR CheckUp now and find out. This self-diagnostic will allow you to evaluate your nonprofit's current performance in a number of functional HR areas. You can also register for upcoming E-Clinics or check out the HR Advisor's blog for information, tips and answers to nonprofit HR questions. The Co-operative Development Initiative (CDI) has renewed its Innovative Co-op Project (ICP) funding plan for 2011. ICP provides funding to projects that demonstrate innovative uses of the co-op model. This year’s funding campaign has identified agriculture, rural/northern community development, and capacity building and sustainability as three priority sectors. The available funds range between $5,000 and $75,000 per project per year. Deadline for funding proposals is October 31st, 2010. New, updated guidelines and forms are now available here. Read more about the CCA’s ICP program. The University of Victoria’s Centre for Co-operative and Community Based Economy is currently accepting applications for a Community Research Fellowship from interested members of the non-academic community, or scholars with no formal university affiliation. The deadline for applications is October 31, 2010. Read more about the CCCBE and Fellowship application process. Canada's two national co-operative associations, and two Fair Trade organizations have collectively launched a campaign aimed at engaging more co-ops and credit unions in Fair Trade. The Co-operating for Fair Trade campaign was created by the Canadian Co-operative Association (CCA) and TransFair Canada in partnership with the Conseil canadien de la coopération et de la mutualité (CCCM) and Équiterre. The campaign was borne out of a resolution in support of Fair Trade, which was adopted unanimously at the CCA's 2010 AGM. The primary goal of the campaign is to encourage at least 100 co-ops, credit unions and co-operative apex organizations to adopt similar resolutions before the International Year of Co-operatives begins on January 1, 2012. More information about the campaign, including a downloadable Action Guide, is available at www.transfair.ca/coop.